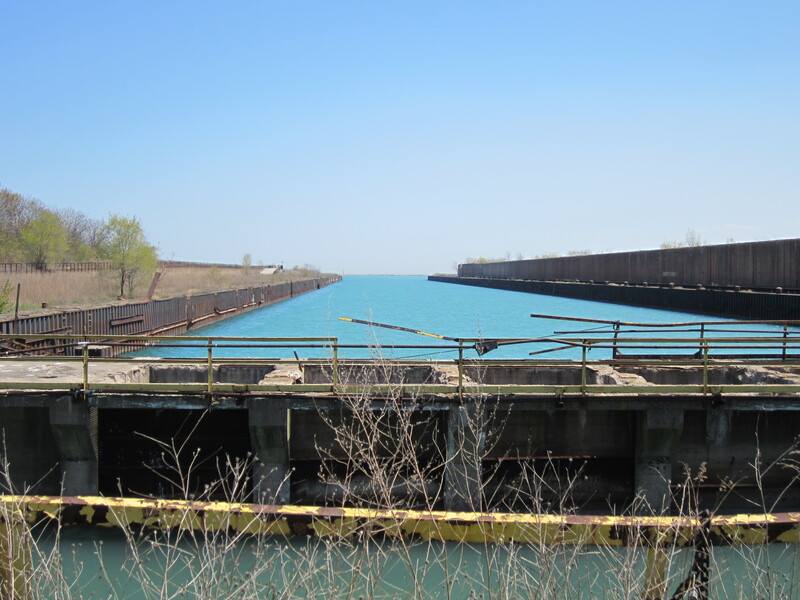 Earlier this month Mayor Emanuel held a press conference at the former U.S. Steel South Works (USX) site, a weed-strewn piece of vacant land bigger than the central Loop bulging into Lake Michigan from 79th to 92nd. 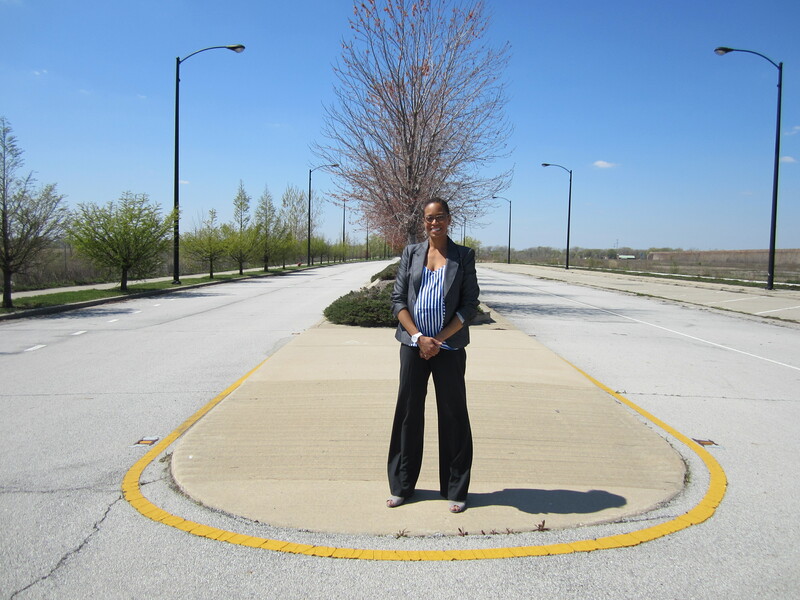 He was there to herald the construction of a new $21 million, four-lane boulevard that will run two miles through the site, intended as the future main street of the proposed Chicago Lakeside Development. In a press release, McCaffrey bills the new boulevard as “Lake Shore Drive’s two-mile extension,” a phrase that raised my eyebrows since the eight-lane superhighway actually ends two miles northwest of the USX site. In reality, the roadway project simply involves relocating U.S. Route 41, a signed highway that winds 2,000 miles from Miami to the northern tip of Michigan’s Upper Peninsula. The route does include Lake Shore Drive, but south of the freeway it currently zigzags on smaller surface roads on the way to Indiana. After the boulevard opens to traffic later this year, Route 41 will be moved to the four-lane, simplifying navigation and adding capacity. The developer is promoting Lakeside as a high-tech, environmentally friendly community with multiple transportation options. The USX site is located near several existing Metra commuter rail stops. Renderings of the future development show multiple bicycle paths and CTA bus routes and list streetcars and water taxis as other potential modes of transportation. 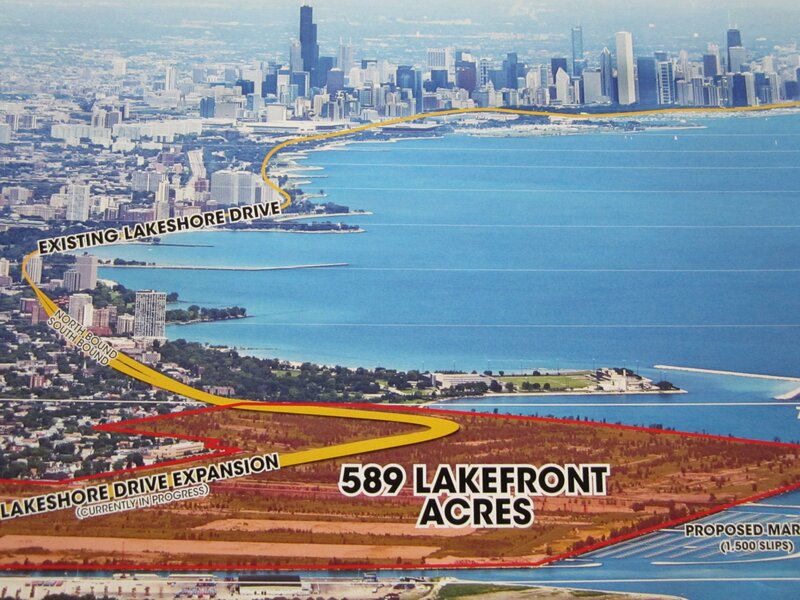 Bike-racing enthusiasts led by luxury-pet-goods mogul Emanuele Bianchi want to build the Chicago Velo Campus, an indoor racetrack and multisport complex, as the centerpiece of the development, and last summer they erected a temporary outdoor track on the site at 8615 South Burley. In keeping with the sustainability goals, the new boulevard will incorporate several green elements. The project includes bike lanes, permeable parking lanes to drain storm water, and a CTA bus turnaround, plus better pedestrian access to Rainbow Park, located just north of the USX site. Chicago Department of Transportation (CDOT) engineer John Sadler says it’s an interesting project to manage. “Being able to build a roadway where one doesn’t currently exist is an opportunity you don’t often get in Chicago,” he says. Active Transportation Alliance’s Lee Crandell says the advocacy group encouraged CDOT to include the bike and pedestrian accommodations and he’s glad McCaffery is proposing a community with good access to sustainable transportation. “That speaks well of the future of the site and we’d like to see them take it as far as they can,” he says. It would be difficult to add lanes to South Shore without razing dozens of existing structures, including apartment buildings and expensive lakefront homes. That might have been an option during the Urban Renewal era, when Mayor Richard J. Daley bulldozed entire neighborhoods to make room for expressways, but it wouldn’t fly nowadays. However, a McCaffery rendering appears to show South Shore transformed into a two-lane, one-way northbound street, with Exchange Avenue, the next major roadway to the west, converted to a one-way southbound. Is this a realistic scenario? “There’s a limited right-of-way on South Shore, so they’re going to have to come up with some kind of creative concept,” Mabwa says. “So relocating traffic two ways going south and two ways going north definitely has to be explored.” Sadler says he’s unaware of any plans by CDOT to modify South Shore to accommodate more cars, but he doesn’t rule out the possibility. “Any future traffic improvements on South Shore Drive will be dependent upon increased traffic demands,” he says. Chainlink Bar Night Meet up with some of the 6,000-plus members of the local bike social networking site for drinks and karaoke at a River North messenger hangout. Thursday, April 19, The Blue Frog, 676 North LaSalle, thechainlink.org; 5-10pm; free. Tour of Rogers Park Learn about the history of this diverse Far North Side neighborhood on this guided bike tour by architecture buff Lee Diamond. Saturday, April 21, Warren Park, 6601 North Western, (773)255-6347, chicagovelo.com, 11am-4pm; $9. Chicago South Side by “L” This train excursion traces the development of several South Side neighborhoods, including Bronzeville, Chinatown and the South Loop. Saturday April 21, Chicago Architecture Foundation, 224 South Michigan, architecture.org, 9:30am; $20. Lincoln Park Criterium Come out to compete or spectate at this bike race series involving multiple laps around a looped course, for beginners to pros. Sunday, April 22, Montrose Harbor, 4401 North Lake Shore Drive, tinyurl.com/lincolnparkcrit, 8am-6pm. Free to watch, $15-30 fee to race. Lakeview Pub Crawl This CAF walking tour explores the neighborhood’s Scandinavian and German roots, the history of the Belmont business strip and the “tied house” brewery-funded bar phenomenon. 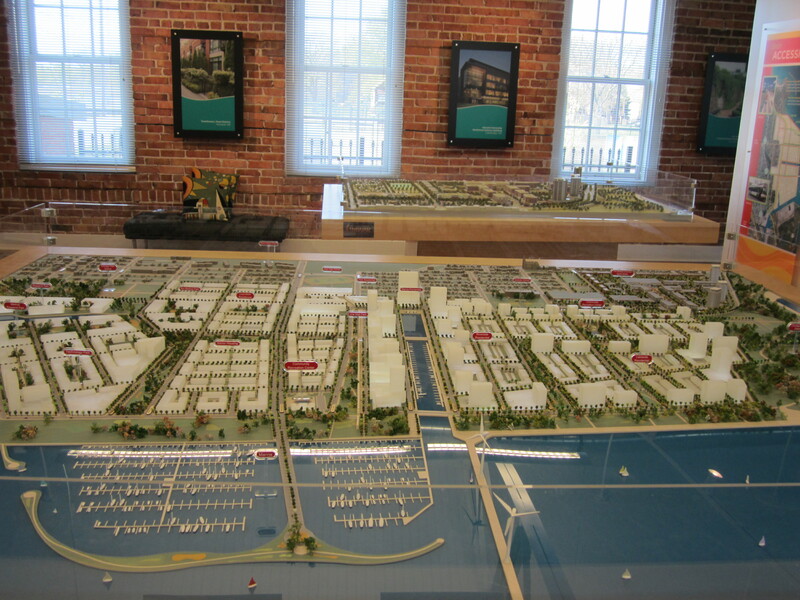 Sunday, April 22, Belmont ‘L’ Stop, 900 West Belmont, (312)922-3432, architecture.org, 3:30pm-6pm; $15. Women and Trans Night West Town Bikes hosts this weekly open shop session strictly for female and transgender folks who want to work on bikes in “non-patriarchal” surroundings. Wednesday, April 25, 1147 North Campbell, (773)772-6523, westtownbikes.org, 7pm-10pm; $10/hr suggested donation. Bus Rapid Transit: Chicago’s New Route to Opportunity Peter Skosey from the Metropolitan Planning Council outlines the city’s plans to create dedicated bus routes to beat congestion. Wednesday, April 25, Lunch Talks at Chicago Architecture Foundation, 224 South Michigan, (312)322-1135, architecture.org, 12:15pm-1pm; free. Ride of Silence Organizing Meeting Help plan the Ride of Silence on May 16, an international bicycle event honoring those who have been killed or injured while biking. Wednesday, April 25, Heritage Bicycles, 2959 North Lincoln, rideofsilence.org/chicago, 6:30pm; free.